Bubble Bobble Planet is a collection of three great remakes of the popular classic game "Bubble Bobble" that first came out in the late 1980-s. This brand new edition will definitely be of interest both to all of the numerous nostalgic fans of the old classic game and to all of those who get to try it for the first time. The main heroes are two little dragons named Bub and Bob. Joystick/gamepad support. But don't worry! In spite of their size the dragons are brave and smart. Plus they have a magical ability to blow bubbles, which can entangle their enemies inside of them. Once the enemy is trapped, the bubbles can be easily popped by the little fellows. Three different catching story lines, a great variety of monsters, numerous levels and modes, the innovative graphics, cool music and sound effects along with the addictive gameplay will keep you playing on and on! Blow bubbles to catch enemies inside and pop them. Non violent arcade game for all ages. Play one or pair of little dragons against enemies. 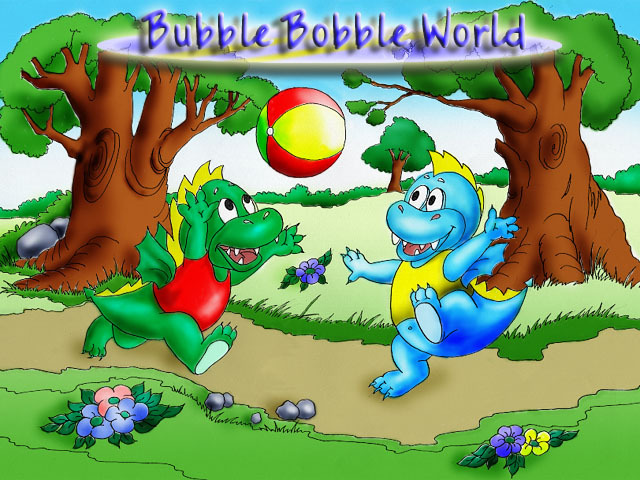 Free download for Bubble Bobble Nostalgie funny arcade classics. Speedy Bubbles - Bust A Move style game. Download Aqua Bubble 2 and enjoy it to relax yourself. Qweas is providing links to Bubble Bobble Planet 1.1 as a courtesy, and makes no representations regarding Bubble Bobble Planet or any other applications or any information related thereto. Any questions, complaints or claims regarding this application Bubble Bobble Planet 1.1 must be directed to the appropriate software vendor. You may click the publisher link of Bubble Bobble Planet on the top of this page to get more details about the vendor.